Selected as one of the ten teams to compete for this project for the Shanghai Bund. We focused on a supremely ecological scheme and designed each ecological move into an aesthetic public experience (the Shanghai Bund attracts up to 100,000 visitors a day). In response to high pollution levels in the water and the river being prone to flooding, Balmori’s proposal restores the Bund as a continuous 2.5 Km/20 meter wide public promenade that connects river and city. The surface is a sculpted horizontal topography that mediates between access to the river and raised views across the city. It is an open and porous plan which allows for sustained movement of both people and water. The ecological features: a) floating vegetated islands engineered to clean the river water with native riparian plant species. These islands are also designed to generate their own electricity with underwater turbines. These vegetated islands float on the river, rising and falling with the changing tides, and form a river edge that is aesthetic and functional, as well as fixed and adaptive. b) Photovoltaic panels along the sea wall produce energy for street lights. c) Hard surfaces are coated with titanium dioxide that transforms air pollution into harmless, inert compounds that wash away in the rain. d) Stormwater filtration is provided by a series of submerged sand filters and UV disinfection units beneath the walkways. Once the water is cleaned it is then reused on site in fountains and ponds. The Bund, continuing the tradition of innovation in China, and the SEZs (special economic zones) are imagined as a SECOZ (Special Ecology Zone). Not long ago, the South Korean government began decentralizing its power with the aim to control urban planning of provincial governments. Subsequently, the development of new cities in South Korea is relatively unpredictable and uncertain. A relatively new competitor to the South Korean urban development market is the city of Gwanggyo. 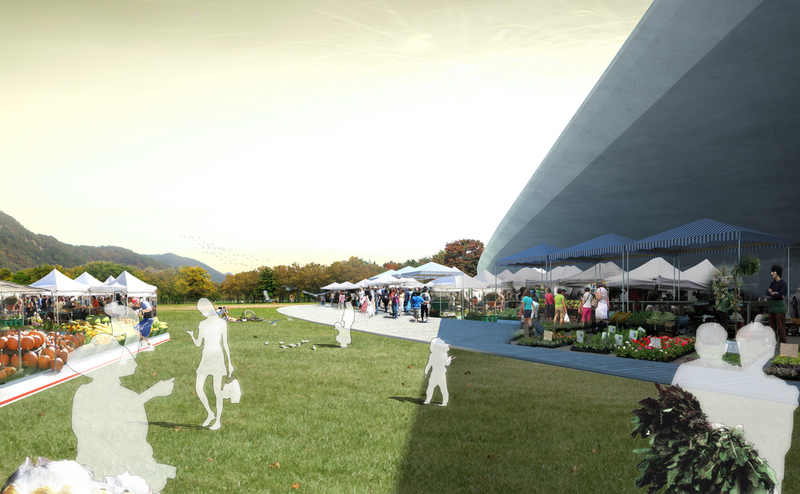 In order to thrive, Gwanggyo and its public amenities must be resilient. We envision Two Lakes Park as an adaptable organism that can respond to a variety of cultural, societal, programmatic, economic and political circumstances. Our design concept embraces the future as a responsive pattern of cultivation that advances the evolution of the park’s landscape. 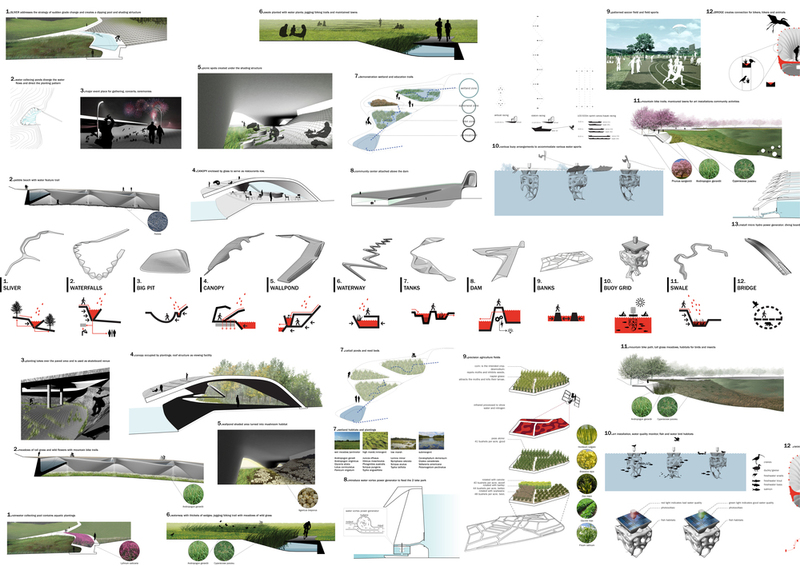 We have intentionally abandoned the notion of a final, designed, object for Two Lakes Park and opted for the emergence of an evolving landscape. Our design strategically places insertions in these areas not only to increase stability, but also to create an amenity out of existing physical conditions. For example, a water feature knows as the Ponds collects stormwater run-off at the base of a cliff. The cliff soil is reinforced with a retaining wall that also forms the walls for the retention pool. The hypothetical projection of park performance below charts an imaginary trajectory for park development. 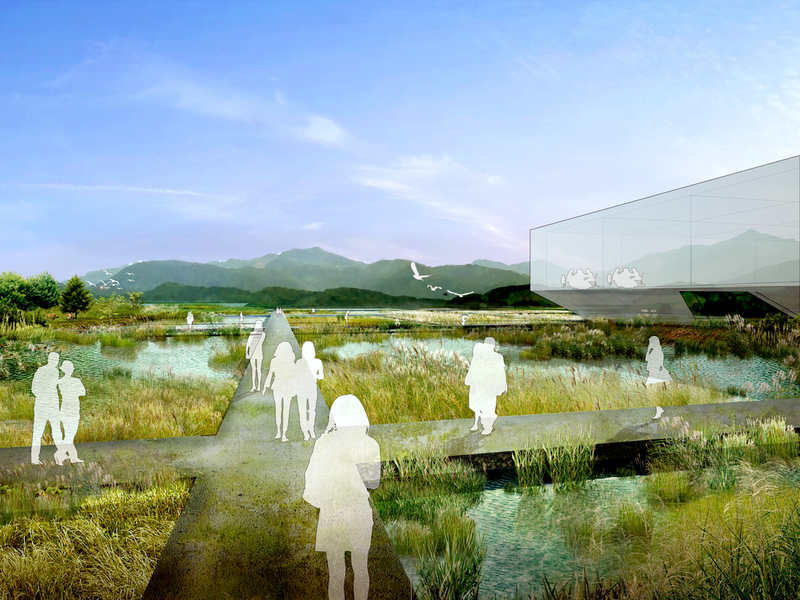 We envision a park where wildness and human activity are always in flux. Skid Rows I was a winning entry of the Artists Gardens competition and exhibition organized by the Queens Art Museum in 2005 as part of a large-scale survey of contemporary artist gardens, Down the Garden Path: The Artist’s Garden After Modernism. Skid Rows is both a garden and an artistic process. Diana Balmori and artist Brian Tolle careened around a grassy, two-acre expanse of the Queens Botanical Garden, doing doughnuts in a red Chevy pickup decorated with flower decals. With a custom-made trailer attached to the rear wheels, the truck inscribed circles in the earth while releasing yellow tickseed and red poppy seeds. This revolutionary method of low-impact cultivation called direct sowing challenges traditional planting techniques which tend to disturb the soil’s essential water and nutrient-retaining capabilities. 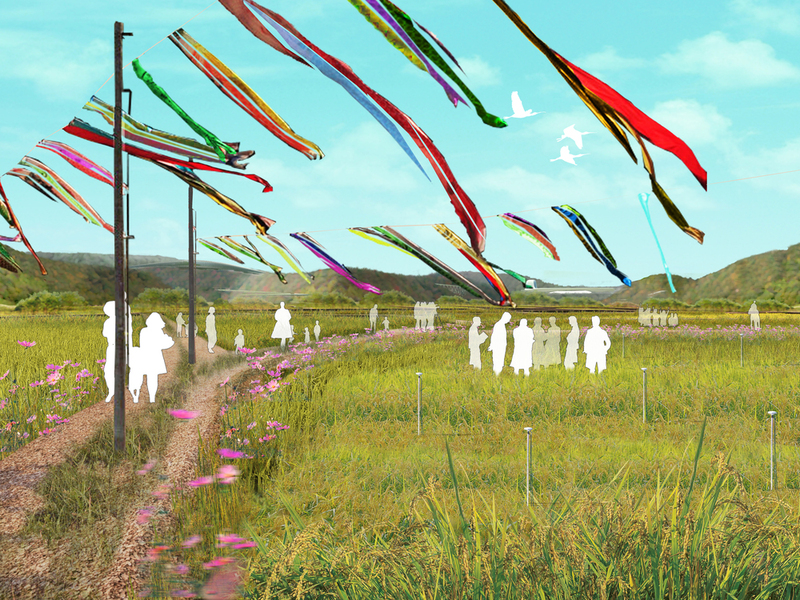 Skid Rows is a hybrid performance and earthwork that created an unusual flower garden in the form of a two-acre drawing. On May 24, 2008 Balmori Associates and Brian Tolle collaborated on Skid Rows II to celebrate the grand opening of Mildred’s Lane, an Artists’ Colony in Beach Lake, Pennsylvania. Transformed into a hybrid plow and seeder, the truck inscribed circles into the earth while simultaneously releasing sunflower and cosmos seeds. 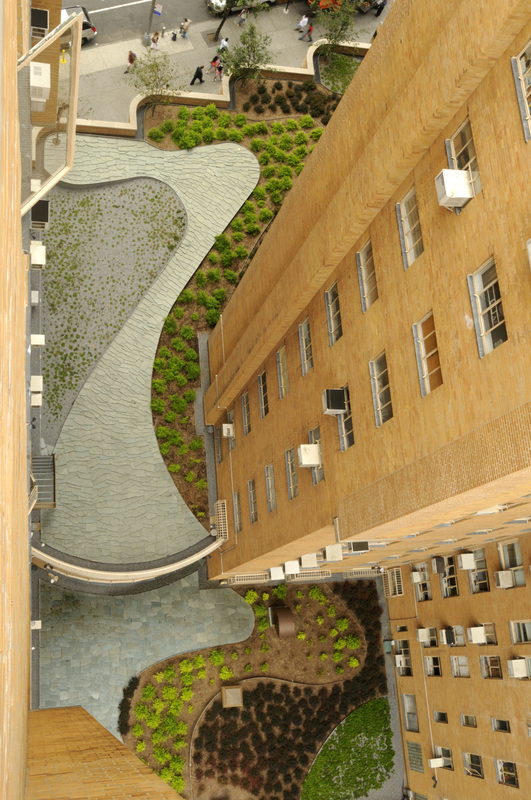 The ecology enabled the project to come up with new landscape forms. 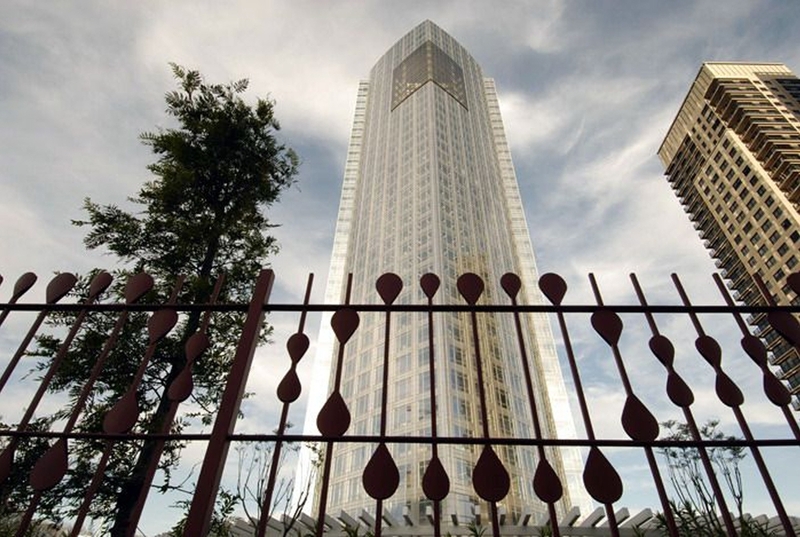 Repsol-YPF is located in the up-and-coming district of Puerto Madero in Buenos Aires. The design originally called for a three-story parking garage at the intersection of Macacha Güemes and Juana Manso streets. Balmori Associates buried the parking underground and created a one acre public plaza on top of it. Patterns and motifs throughout the plaza echo the Pampas’ cultural history of the site. The selection of native and naturalized plants recalls the adjacent ecological reserve’s flora. A pergola runs along the edge of the courtyard while water features and planting beds emerge through a blue recycled glass surface. The six-story winter garden on the 27th floor showcases Argentina’s most important native trees such as Jacaranda. The design and lighting of the winter garden allow these trees to be seen throughout the city at night. The green roofs and entry courtyard of 240 Central Park South pull the character of Central Park through the building and up to the roof. Contoured ribbons of shrubs and sedums are interwoven with lines of slate, mimicking the rock outcroppings in the park. This landscape is designed to be experienced from multiple viewpoints. Visitors walking by the building catch glimpses of the cherry trees peaking over the parapet wall, while tenets inside the building are surrounded by the rolling ribbons of plants. 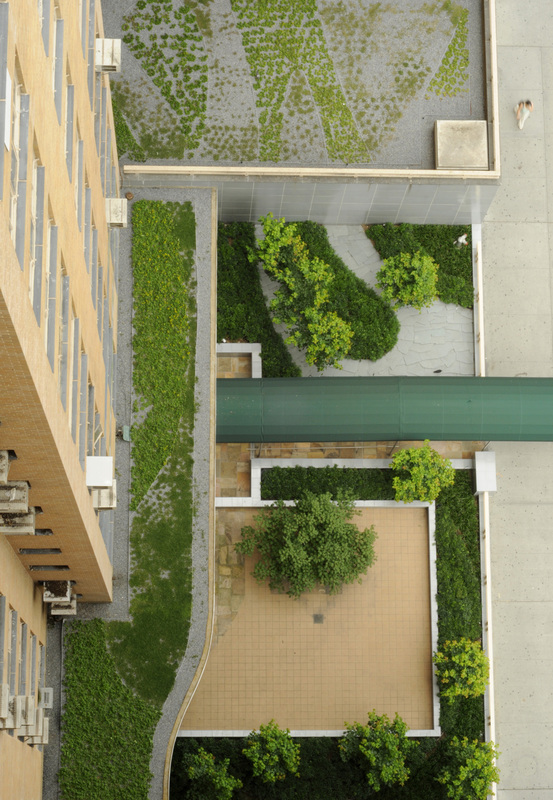 From the neighboring buildings and apartments above, the multiple levels of rooftops appear to join together into one unified landscape. Sanya Phoenix Island, located in Sanya China, covers an area of 300,000 square meters, with a total project investment of over 3 billion yuan, Phoenix island is an artificial island designed by Balmori Associates along with MAD architects. With high-level seven-star resort hotels and six hotel-style apartment complexes and a harbor for international passenger liners, the landmark will be the highest hotel in the region of Hainan. The underlying public space are tentacles that extend from the starfish, covering the ecological park. The island will represent the future of Sanya as the international tourism and resort city. Construction work is due to finish in 2014. 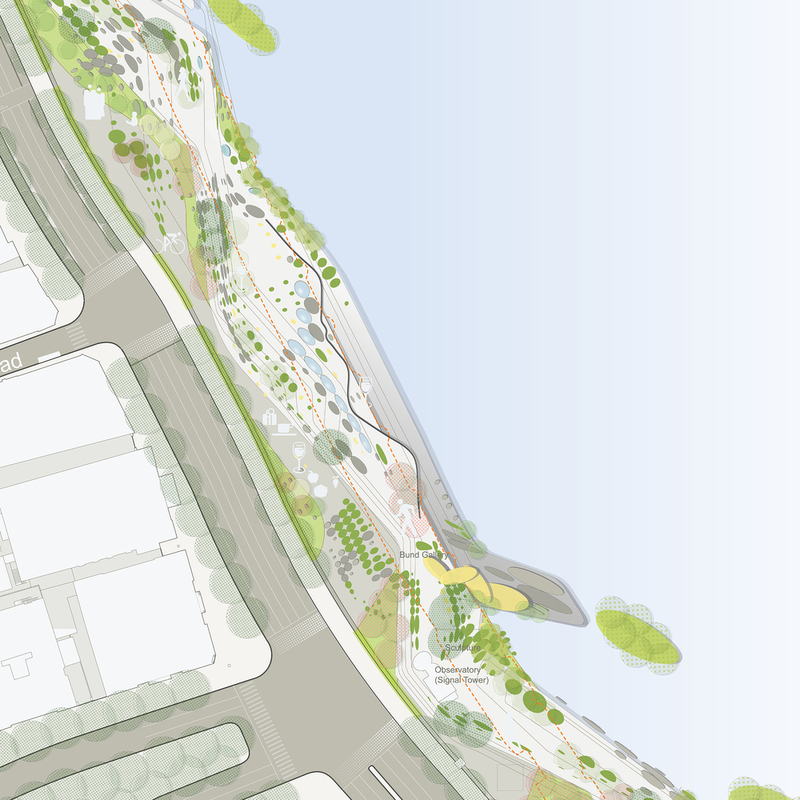 Hudson Yards linear park runs parallel to the Hudson River Park connecting the major transportation and cultural hubs of 34th and 42nd streets. Low Line Park is a linear park with a new context and form. It is a park of movement that creates an urban leisure infrastructure and includes diverse programming. Low Line Park in the Wild West Side responds to the architecture, infrastructure, topography and ecology to create what we term SuperCityPark(s). The park and streetscapes weave through each block, taking on specific character and creates a program accordingly. The park builds off the energy of the city- and by its nature the park retains and develops its traditional ecological functions: habitat creation, stormwater management, species diversity. This pattern of development and its mixed use will serve as a model for Low Line Park as a new kind of linear park, one with a programmed response to its surrounding development. D-City is a 21st Century model of ecological design; responding to new ways of living and offering exciting new perspectives of landscape and the urban context. Within an existing city park area, a new public park and separate commercial area have been built on mutual synergies. Architecture and program is woven through the landscape by subtle shifts of the surface. The organic shapes morph into the towers. 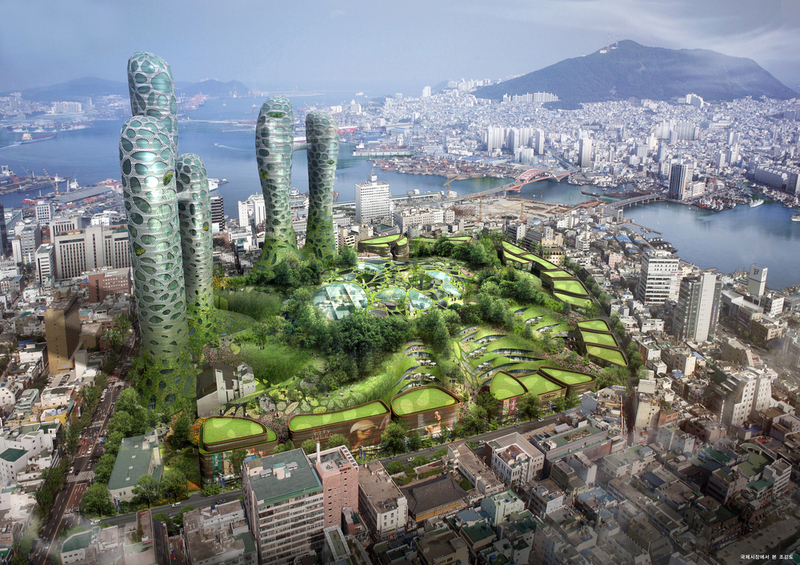 The towers are a reflection of the natural elevations of the mountains and emerge from the ground as eco-towers and rise as a new landmark for Busan. The existing public square is restored and accommodates a variety of programs.